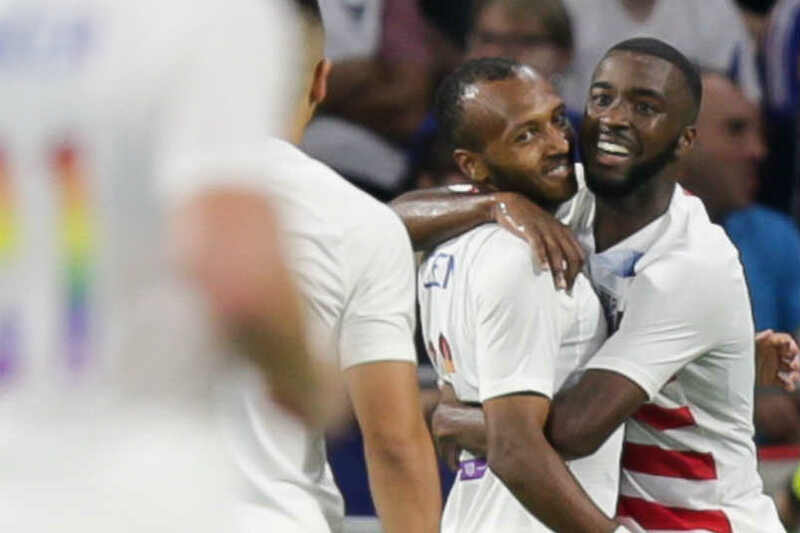 The USMNT was the opponent in Lyon for France's World Cup sendoff game, drawing 1-1. The home crowd was vocal and excited, but that enthusiasm took a hit when Julian Green put the USMNT up in the 44th minute. Green's goal was the first for the USMNT all-time against France. Bobby Wood almost doubled the lead in the 48th with that goal called offside. Kylian Mbappe equalized for France in the 78th minute. USMNT goalkeeper Zach Steffen came up with several big saves to keep the score even late in the game. France coach Didier Deschamps kidded about not jinxing things by talking about injuries prior to the start of the game. That became an issue in the 55th minute when a clash of heads between Matt Miazga and Olivier Giroud in the box left both players bleeding from the head. Both players had to sub out with US Soccer reporting that Miazga needed 15 stitches.